This is one of those recipes I have not put on here up to know because EVERYONE asks me to bring them, make them, save them some, etc. 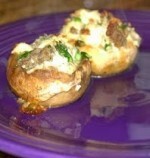 It is one of those recipes that is ME, I have a couple others I have not shared either but maybe in time, we will see. SO HERE IT IS .... 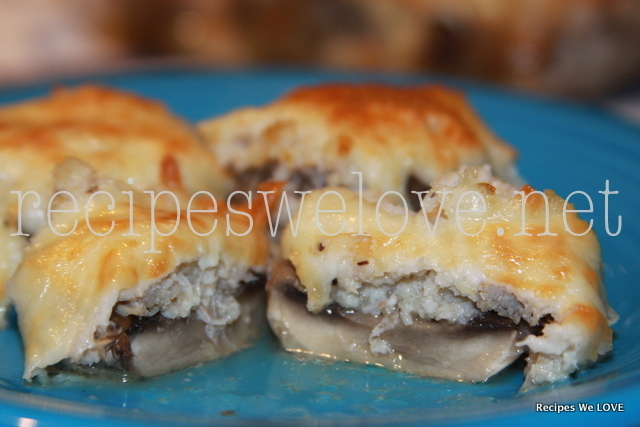 STUFFED MUSHROOMS, and you will be so surprised how EASY these are. What you will need is simple. Wash your mushrooms, cap them and save the steams. Place the mushrooms in a backing dish and add the the steams where you have extra little spaces, believe me you will eat these too, then sprinkle black pepper in each mushroom. Then melt the butter with the garlic salt. Once Melted stir in the drained crab meat, I usually run my hands through the crab too to make sure there are not little pieces of shell, sometimes there is. 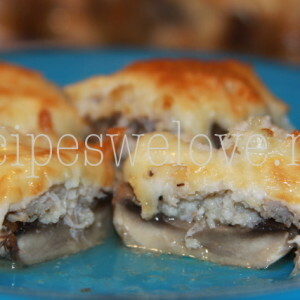 Spoon the crab mixture into the peppered mushrooms and cover each mushroom with the cheese. That is it!!!! Oh and don't burn your month trying to eat them the minute they come out of the oven.